Baselworld 2013 is rapidly approaching and that means brands both large and exclusive are unveiling some of the watches that will be putting in an appearance. Watchmaker Carl F. Bucherer has just unveiled the Carl F. Bucherer Manero Power Reserve. 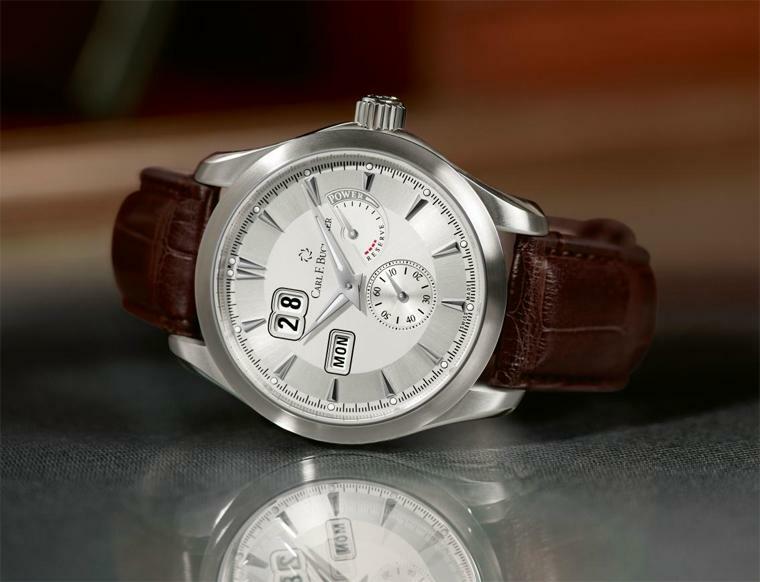 The watch comes in a 42.5mm stainless steel case with a brushed dual-tone dial. The watch has a pair of central indicators and stainless steel hour markers, with a large date aperture located at the 11 o’clock position will instantly draw your attention. True to the name of the watch, the manufacture has also equipped the watch with an integrated power reserve indicator located between 2 and 3 o’clock. 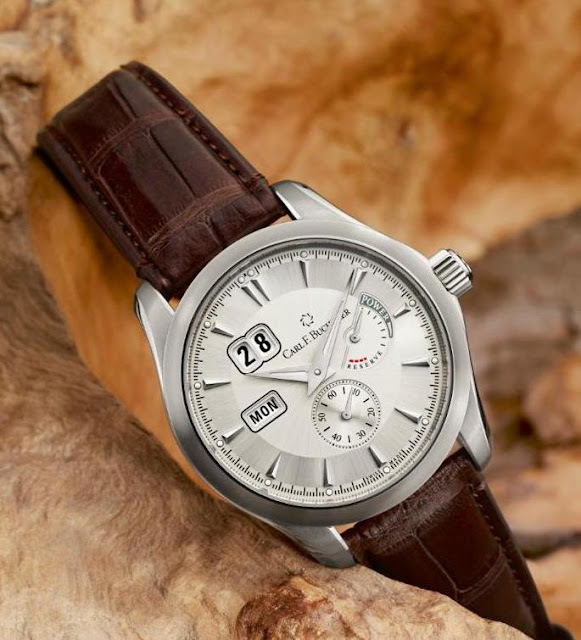 The power reserve indication is a classic design element steeped in tradition. Originally used in marine chronometers, this indication soon became established in wristwatches too. The idea behind it is to indicate the current state of tension of the mainspring and or how long the watch will continue to run. As the power runs down, the hand moves into an area that is shaded red. Also visible at a glance are the day of the week at 9 o’clock, the particularly large big date at 11 o’clock, and the integrated small seconds at 6 o’clock. For the first time in the Manero model, the watch is powered by the high-precision CFB A1011 Manufacture calibre, a blend of high functionality and sophisticated technology with a 55 hour power reserve. A special feature of the movement is the peripheral, bidirectional oscillating weight that supplies the automatic gear train with power. The patented dynamic shock absorber known as “Dynamic Shock Absorption” (DSA) provides maximum efficiency and reliability. The silver-coloured dial is divided into an outer ring and an inner ring. While all the functions are located in the light-coloured inner circle, the darker outer circle is segmented by silver index markers. The watch is 42.5 mm with a depth of 12.54 mm and comes on a brown alligator-skin strap or stainless steel bracelet.